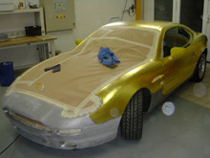 Alchemist's team of master guilders and ateliers spent one month perfecting the Aston Martin DB7's coat of gold and platinum. The result is a glamorous “very Bond” car. 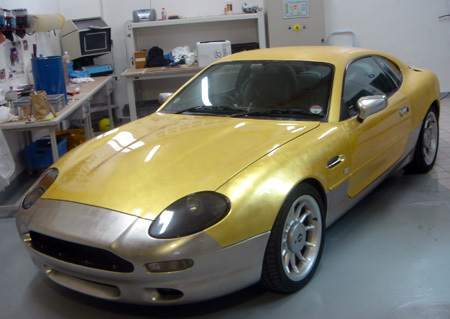 It's a motoring masterpiece: an Aston Martin DB7 entirely covered in gold, palladium and platinum. This work took a team of six craftsmen—led by a French master gilder—a month to complete. 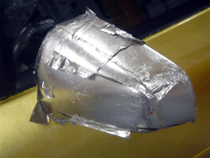 First, the car's exterior was polished and varnished to provide a sparkling, smooth surface for the precious metal leaf. 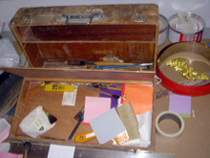 Next, the gilders picked up individual leaves of 24-carat and 23 ½-carat gold, platinum and palladium, and placed them on to a layer of specially formulated size. 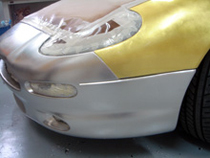 Parts of the car have been double gilded, creating a beautifully rich, deep and textured surface. 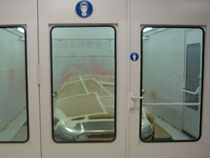 Finally, a master painter applied several coats of a bespoke satin-finish varnish to the DB7's exterior, to make a scratchproof shield. In sunlight, the gold gives off a soft yellow shine. When the light fades, the gold softens to a warmer, deeper hue. 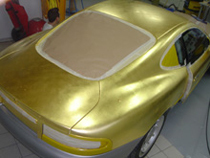 The gold leaf is matched by platinum on the wing mirrors and sills, and palladium on the front and back bumper. These subtle shades give the DB7 an air of elegance and romance. 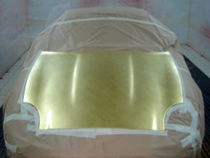 Examine the gold leaf on the roof, trunk and bonnet : gold has been laid in a diamond-shaped pattern, called “basket weave” pattern, rather than in simple horizontal and vertical lines. This unusual geometric pattern adds an air of dynamism to the car's already striking curves. 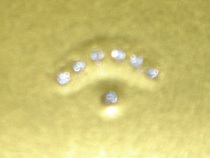 An arc of six small diamonds—with a seventh placed in the centre—has been embedded in the bonnet. These brilliant-cut jewels boast 57 facets each, maximising the reflection of light. 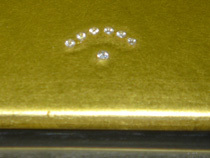 The six diamonds were selected to echo the noble title of the car's current owner, Francesco Ruspoli, the sixth prince of Italy 's Ruspoli family. The inclusion of the seventh diamond makes a crown, a reminder that this car is ideally suited for Britain 's most famous spy: Agent 007, James Bond. The final creation is much more than a car : a work of art.